For too long the portable gas grill market has been neglected. The traditional division for grill choices while tailgating were either the easily movable charcoal grills versus the bulky gas grills. For many, this choice was unsatisfactory. Charcoal taste turns plenty of people off and can be tricky to get going and dispose of when away from home. Traditional gas grills are huge and heavy, often requiring pickup tricks to move around. Sure, there have been little gas grills here and there. But has there ever been something of true quality? My experience has always felt as if I was messing around with a toy. Its small and plastic, has a dopey looking mini propane tank, and can never reach that high of temperatures. Add onto the fact that these toy tier propane grills would come in the $100 range. Thank goodness Weber has entered the portable gas grill market. Readers of the site know I love Weber. 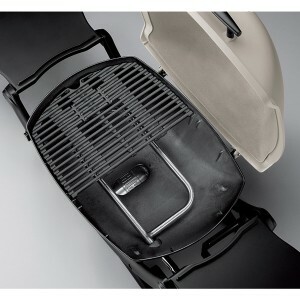 For over sixty years Weber has been producing quality grills designed to last. They represent the top of the line grill market in America. Finally I can say goodbye to those bottom-tier portable gas grills. The Weber Q2200 Propane Grill excels in every way I can think of. It is compact and easy to move. Weber’s quality construction of this grill ensures it will live a long and valued life. And most importantly, it grills like any normal grill should. When it comes to tailgating needs, this is the grill for me. Keep reading to find if this is what you too are looking for. This grill is not a toy. The Weber Q 2200 Gas Grill is made of cast-iron and has some weight to it. In order to get it cooking, just twist the temperature gauge and click the electronic ignition switch. Your Weber Grill will last you many years to come, and perhaps for a decade or more knowing the quality of Weber’s construction. 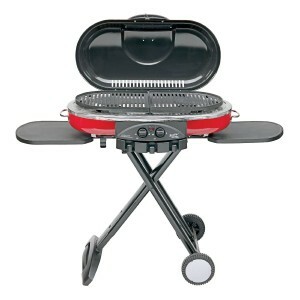 Worry not family men grill fanatics, this grill will work perfectly for a family of four. Even though it looks so small, it will easily meet your needs of a four person family. However, you will be pushing this grill to the limits by feeding four and maybe even five people. Whether your grilling on the back patio or in a stadium’s parking lot, this grill will grill up your favorite meats and veggies for your family unit with no problem at all. If you have any fears that this grill will not be able to get hot, put those fears aside. The Weber Q2200 Gas Grill can reach temperatures of 550-600°F in less than ten minutes. This grill is not an idealized hot plate or microwave. It is one serious gas grill that will deliver sear marks just like any other quality grill out there. Have you ever traveled in an RV or gone camping and wished you had a grill? Sure, those public charcoal grills exist, but who truly trusts those as sanitary units? Plus, they are charcoal which is a turnoff for many for a variety of reasons. Look into the Weber Q 2200 Gas Grill. It can be moved around super easily. Keeping the Weber Q 2200 Grill as a dedicated RV grill is a popular decision many have already made. The Weber Q 2200 Gas Grill is not just a series of burners and grates. Two additional features really sweeten the deal for me: the built-in temperature gauge and the fold-out side tables. I love having the convenience of a built in thermometer to this grill. It makes keeping track of temperature instantaneous. No burdens of digital or analog thermometers that requiring opening the grill. Also, I am really happy that Weber included two fold-out side tables attached to this grill. Multitasking while grilling is much easier with these nifty little tables attached. Smaller sized grills cleanup so fast in comparison to traditional grills that it is shocking. You will only need to spend a few minutes after each grilling to get everything cleaned up. Use your grill brush to scrape off any gunk, and be sure to wipe down the grates while they are still a bit warm with a damp cloth. All grease drops off from this grill into a drip pan that is designed specifically to be used with disposable drip pans. Drippings are no big issue, so plan on having an easy life with this grill. One of the biggest benefits of these Weber Q Series Grills is the rapid assembly time. Putting together the Weber Q 2200 should take no more than thirty minutes. All this is required is a Phillips screwdriver. Weber includes a picture based instruction book that makes assembly simple and intuitive. Only one pair of hands is needed. In order to actually use this grill you are going to need something that brings this grill to waist-level. Your best option is the Weber Portable Grill Cart. If you do not want to pay the $60 or so, then just be sure you have some sort of outdoor tabletop this grill can rest on. At $250, this Weber Grill will cost more than many of the lower tier gas grills on today’s market. You need to ask yourself, do you want to drop a whole lot of money on a portable gas grill? 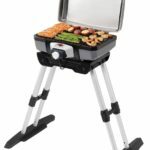 If you are looking specifically for a portable gas grill, then I would definitely recommend this Weber model as the best choice out there. However, I would seriously question the wisdom of buying a portable grill dedicated for home use only. Need a More Affordable Portable Gas Grill? Check out the Coleman Road Trip Grill. There are many aspects I like about the Coleman Grill. First, the design of it is really nifty with its built -in foldout legs. Along with that, this grill is even easier to move around than the Weber Q 2200 Grill. What sweetens the deal even more is its price tag which is nearly $100 less than the Weber Grill. 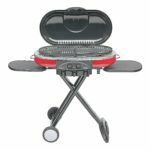 Looking for an Affordable Gas Grill? 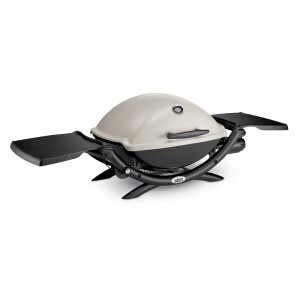 The Char-Broil Classic 4 Burner Gas Grill is a Solid Choice. 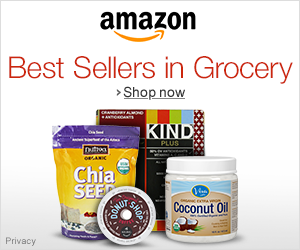 Perhaps you came to this review because you are looking for an affordable gas grill. If so, I would recommend the Char-Broil Classic 4 Burner Gas Grill. The Char-Broil has a leg-up over the Weber Q 2200 as it provides more grilling space and actually costs less. Weber comes out on top in the department of quality construction, but the Char-Broil really does make a good beginner grill for most. The Weber Q 2200 Gas Grill is the best portable gas grill on today’s market. My favorite part of this Weber Grill is the quality of its construction. Knowing that a tailgate grill could last for decades to come sets my mind at peace. In order to get this quality of a grill, you are going to have to pay twice as much as most of competitors of this grill. For those out there that love tailgating and RV camping, then look seriously into this top tier gas grill. Overall, I give the Weber Q 2200 Gas Grill a total of 4 out of 5 stars. 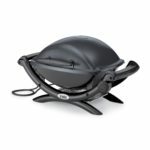 “I have had very expensive Weber big gas grills that don’t even come close to performance of this little gem.” – Kim G.
“It is much more portable than my larger grill and yet is large enough to cook meals for the four of us without trouble.” – Alex S.
“The first time I tried it out was with Hot Dogs and Brats. Excellent!! I have grilled hot dogs, brats, steak and chicken on this grill. It has all cooked perfectly. Great grill! !” – Emanuel D.